Day nine of my list of my favorite things of 2017 and a game that represents a decidedly successful use of Kickstarter. Battle Chasers: Nightwar is a JRPG style affair with a brilliant art style, some strong character design, and just enough story and systems to bring the whole affair together. 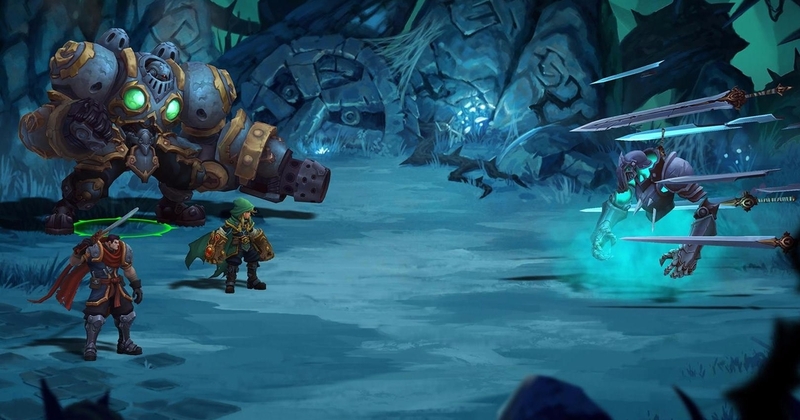 In some ways Battle Chasers is distinctly old fashioned, but after playing through it feels more like a solid contemporary use of old inspirations. No modern action based systems here. The combat is turn based and a throw back to the classic generation of JRPGs that generally inspired western audiences when they started to appear twenty years ago. The presentation however is what brings it up to date, with slick animations and a wonderful hand drawn style. It has the pacing (and challenge in places) of those games you remember from your youth, while looking and feeling perfectly acceptable to a modern audience. It can be hard in places, even on the normal setting, and there will be sections that feel a little 'grindy' (where you may have to go beat up on random foes to grow your team before a challenging dungeon for example), but overall it didn't detract from the experience. 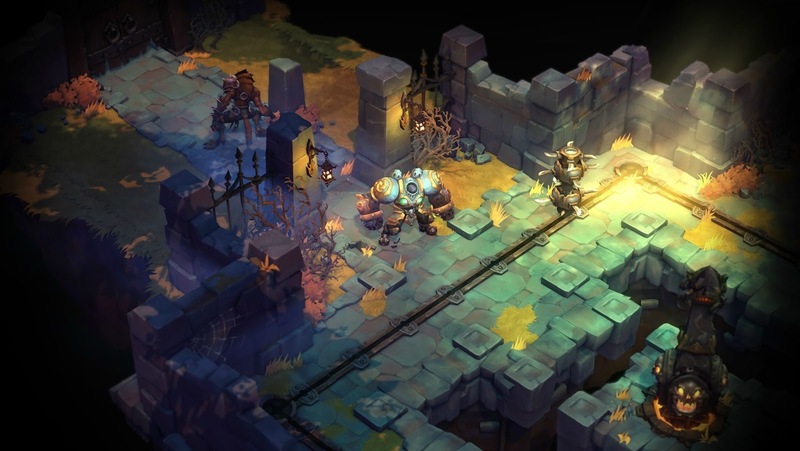 The exploration areas are reminiscent of Bastion, and maintain the visual splendor throughout. The story may be a touch generic, but I was more than willing to forgive it that given the genuine style that flowed through the games proverbial veins. An easy one to recommend to any JRPG fan.